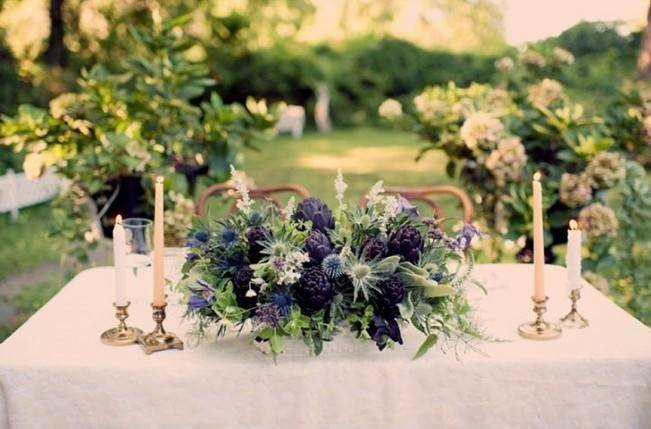 This fresh take on an ethereal secret garden blends the novelty of spring with the crisp air and deep-hued florals of autumn. 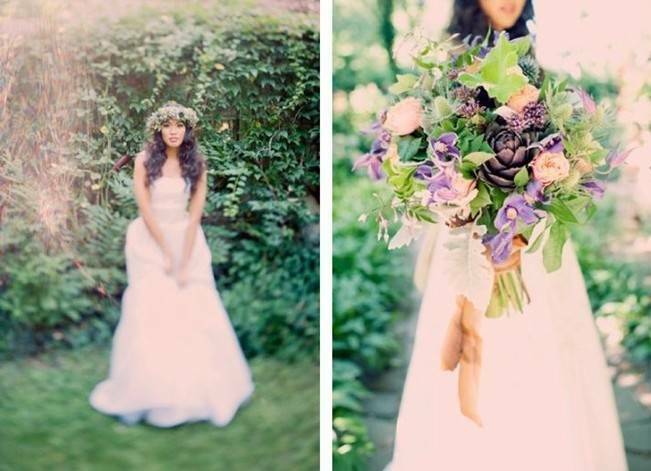 Vibrant almost-black purple and plum set off the many shades of green and the dresses by The Cotton Bride create a gorgeous and natural look that pairs effortlessly with a lush floral crown. 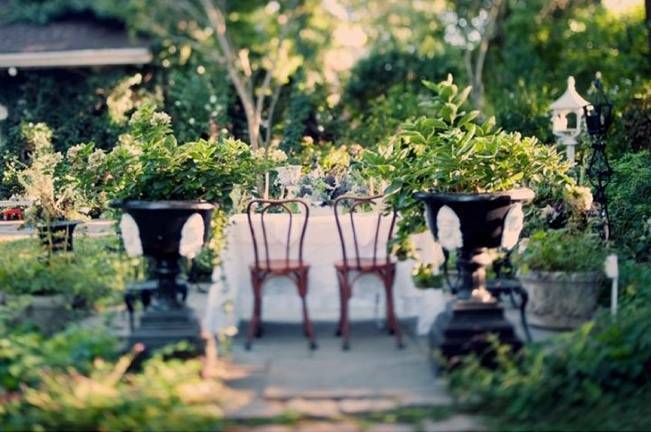 The intrigue of this garden is also perhaps made more so by the fact that it is on the property of what is believed to be the oldest inhabited private dwelling in America, the Riker Home. 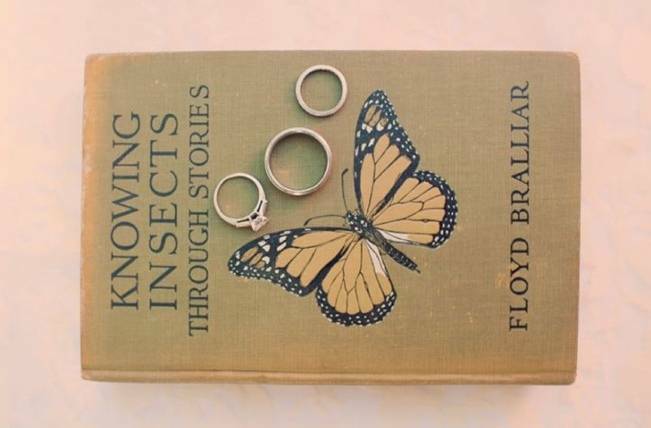 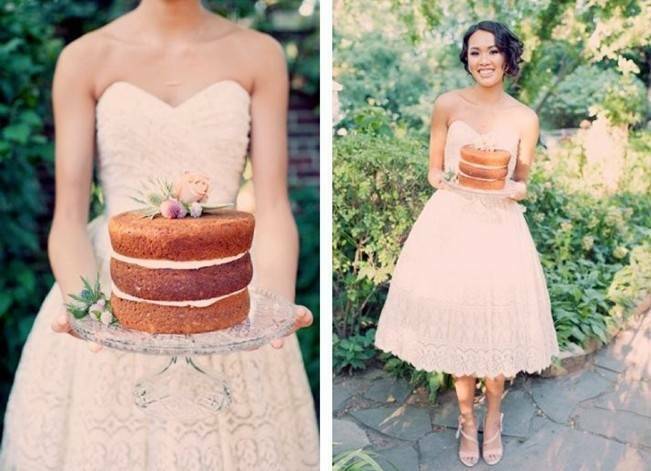 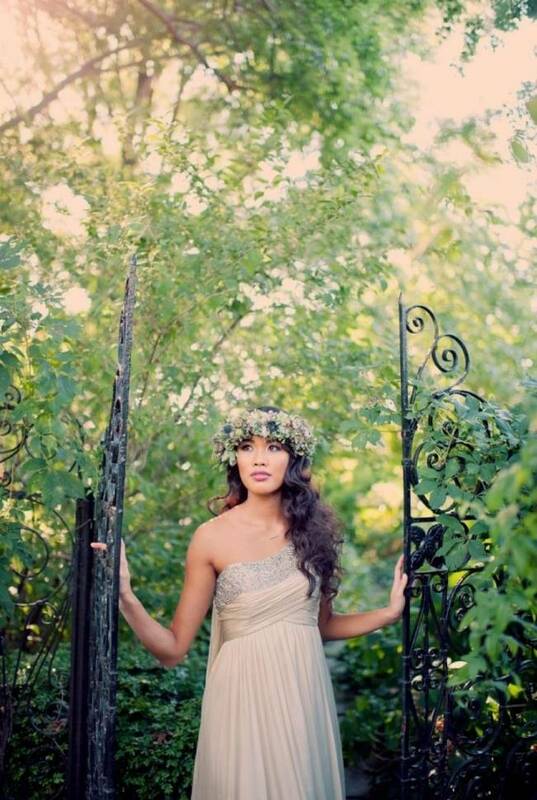 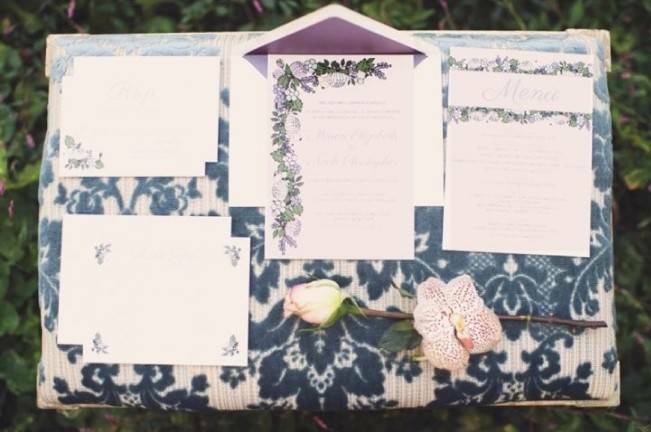 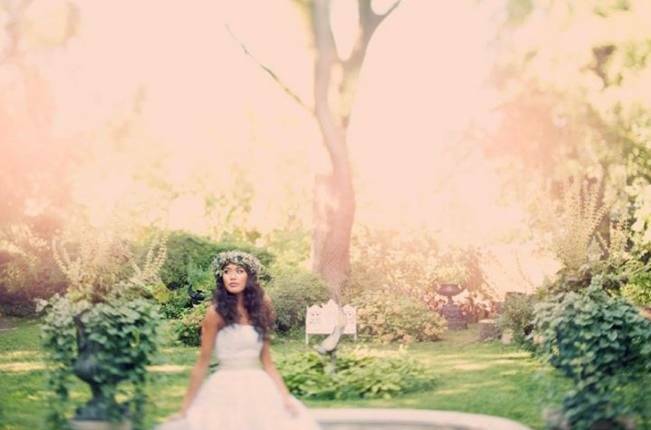 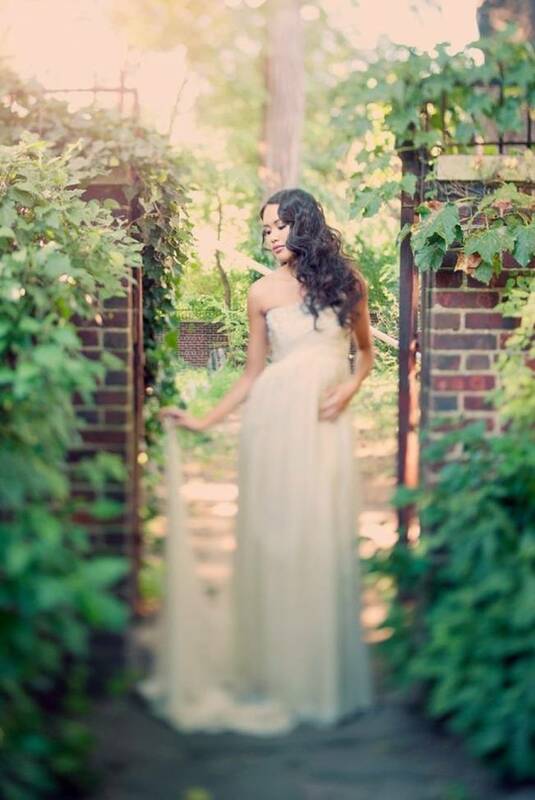 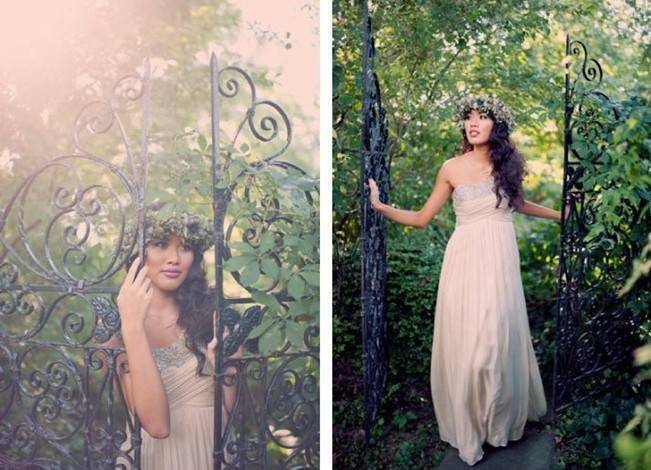 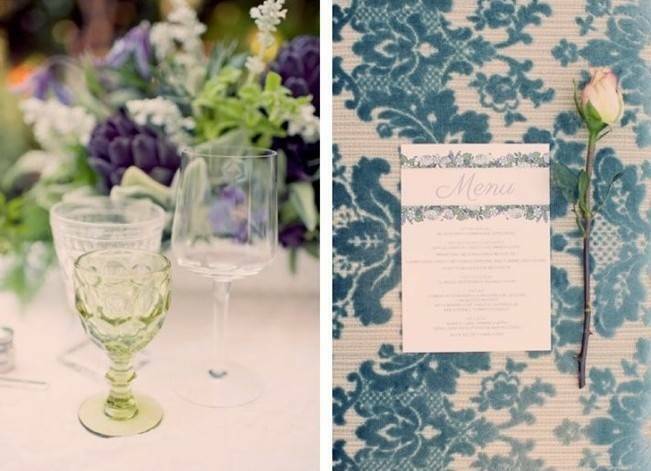 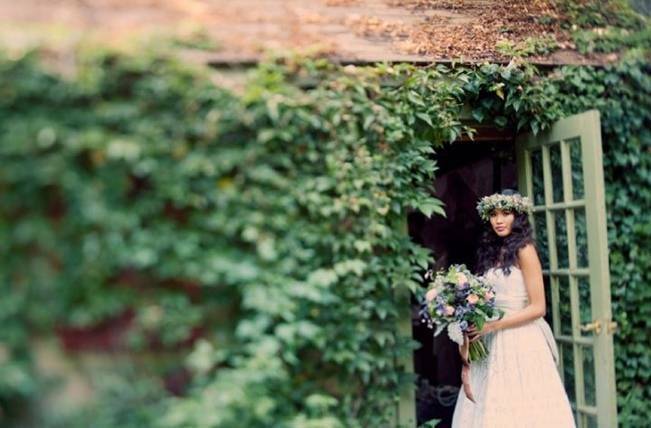 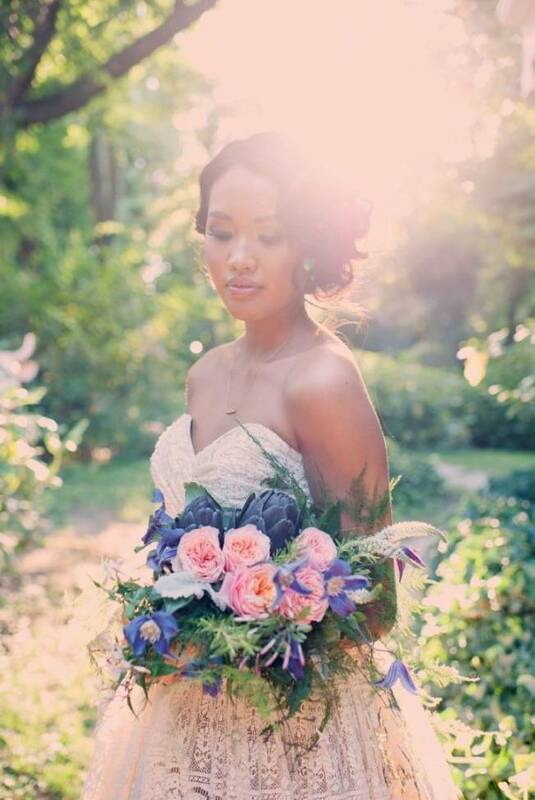 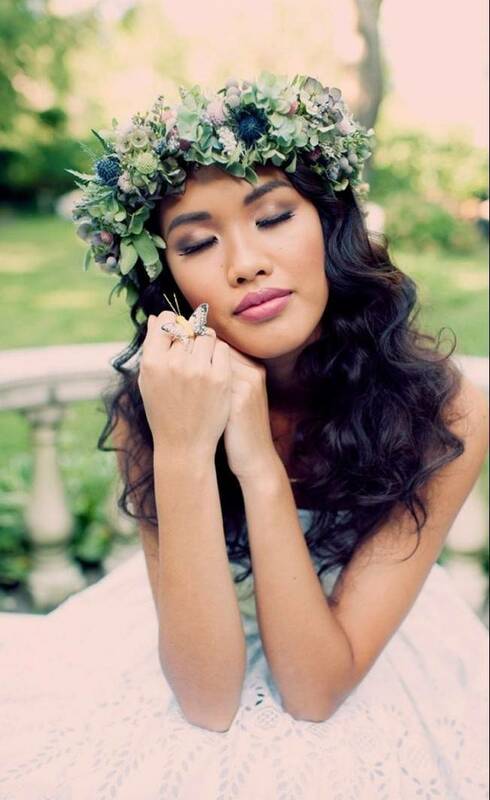 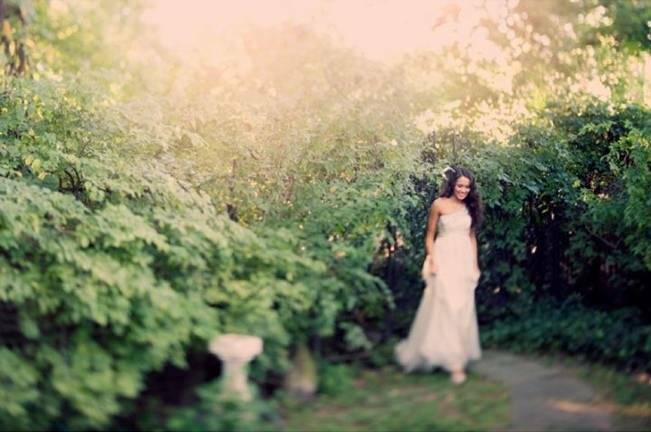 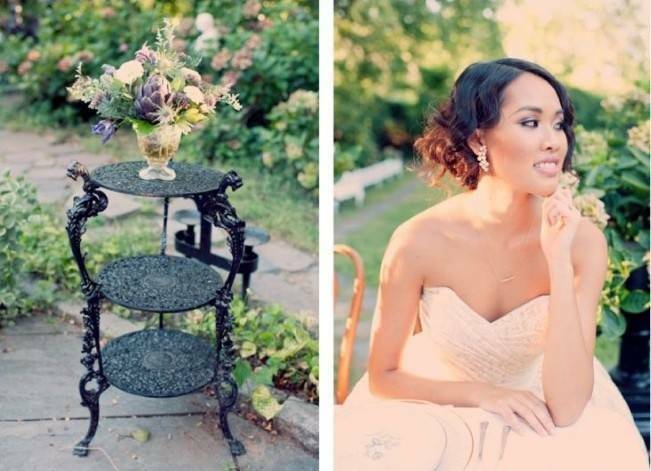 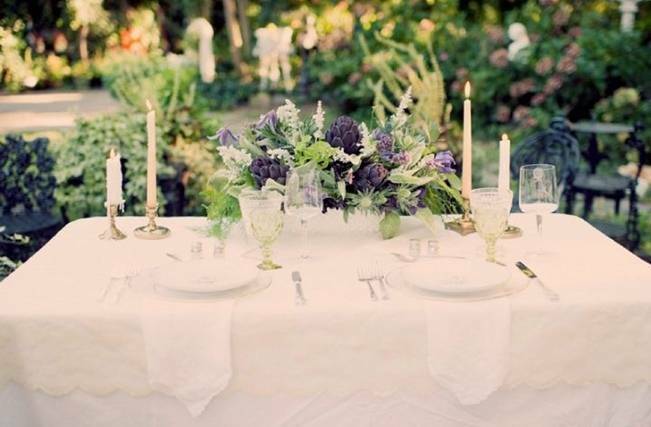 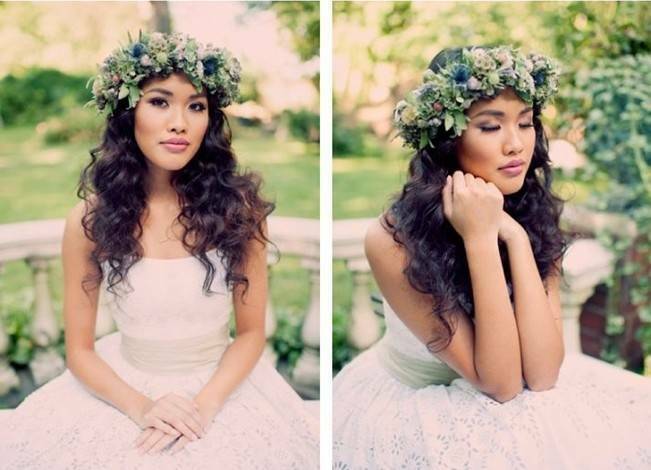 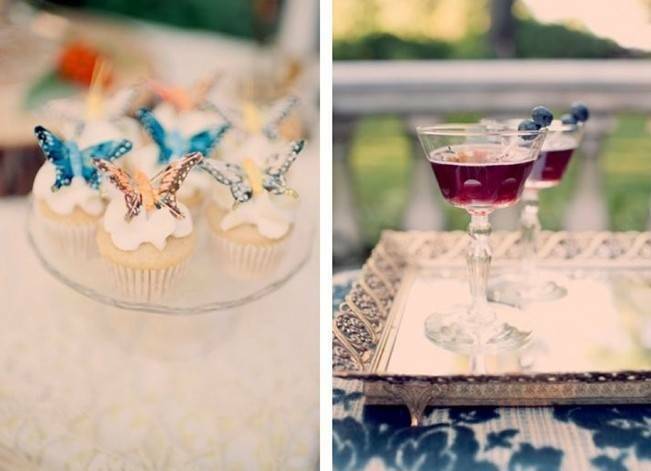 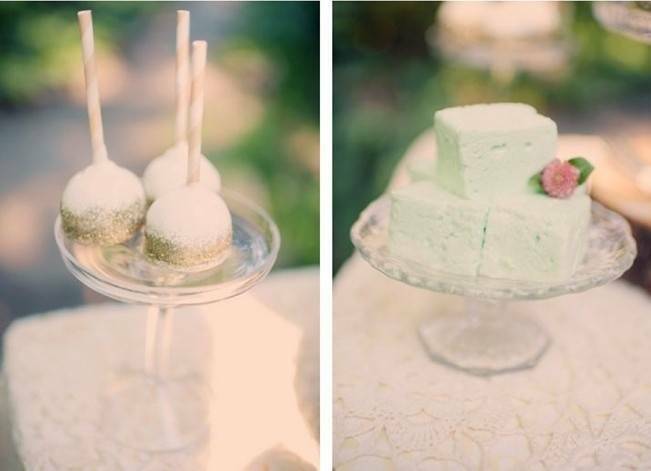 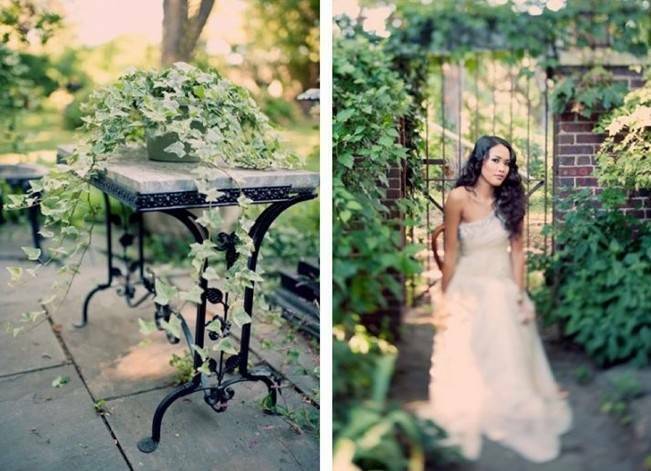 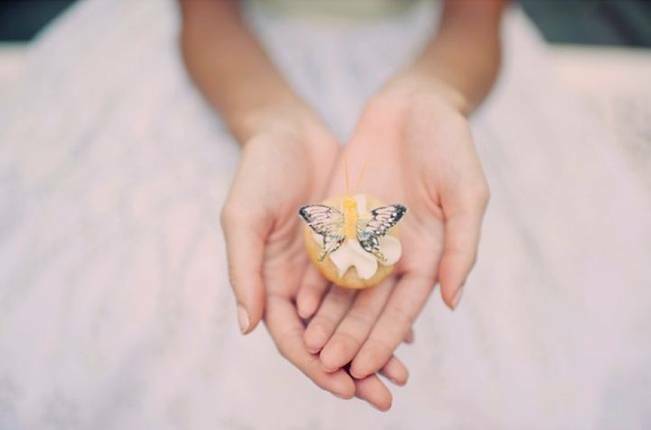 We’re in love with these images captured by Joyeuse Photography and the styling by Little Vintage Rentals. 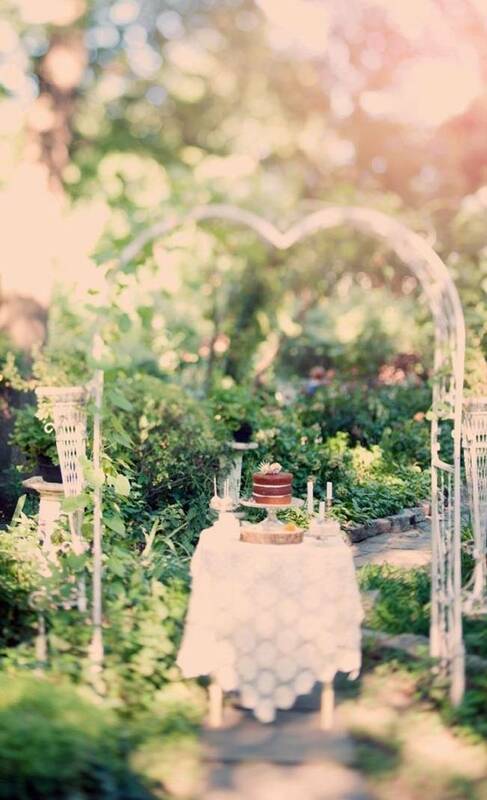 This is a scene we’d love to walk into any time!